A sustainable agriculture is our most important goal. 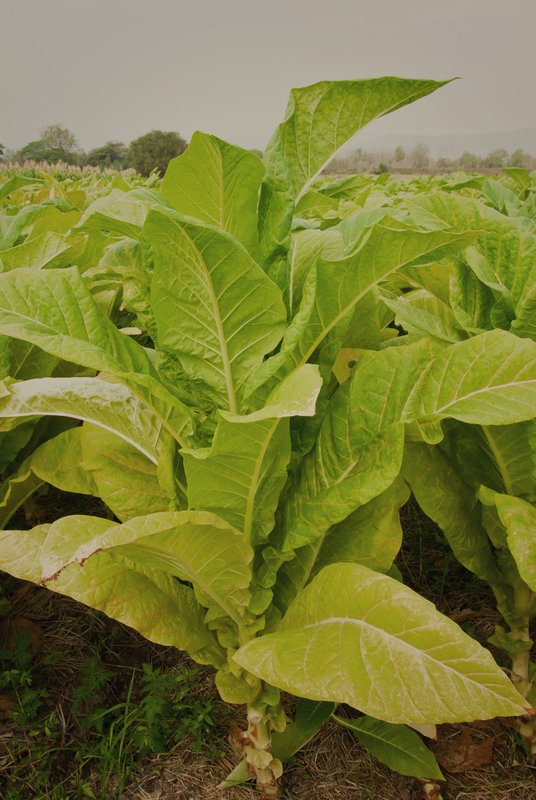 In fact, our agricultural team has a lifelong tobacco experience in growing and processing of tobacco blends. For instance, some of our staff have been working in the past for large multinationals of the trade. Above all, with continuous investments aimed in technology and human resources we optimize the quality and the quantity of the crops. In agriculture, our agronomic staff introduces innovative cultivation techniques. Especially, for each cultivar increasing the best cultivated grades and offering incentives to the farmer. In conclusion, if you want to know our seed varieties or special organic farming techniques, contact us. We are proud of the knowledge, techniques and experience gained in agriculture. Above all, basic and derived mixtures, the casing for tobacco and the etheric flavors represent one of the distinctive capabilities of our organization. In the blend evaluation, we always take into account the market requirements. Specifically, in relation to the taste, the yield in satisfaction, up to the nicotine and the content of nitrates. Moreover, we develop unique and innovative tobacco blends for our clients. And all this keeping in mind the market request, analyzing the product under each point of view, including the exploitable commercial spaces. The trend of the market forces us to stock the necessary tobacco quantities already ordered or in advanced negotiation. Moreover, to take options for further quantities in order to cover the demands we anticipate. The programming of the purchase technique, the Stocks necessary by our customer, according to the methodology of JUST IN TIME deliveries. That allows our customers the reduction of the Stocks paid to the minimal terms and to program the supply in function to the sales. Such a planning will allow our customers to achieve high added value on the product they produce. Moreover it will contribute to increase their ROI, ROE, ROS and the index of rotation of their warehouse.